Some very good news for cyclists from Anthony Jusay with Metro’s Bike Planning staff: the Rio Hondo Bike Path will soon be connected to the El Monte Transit Center. Metro began construction on the project last week and work is scheduled to be completed within 60 days, weather permitting. The project includes a paved access ramp and gate opening that connects to an existing access point to the Rio Hondo. There will be ADA-accessible curb ramps, shared-lane markings and wayfinding between the bike path and transit center that will also be added so that people biking, walking or rolling can easily navigate their way. 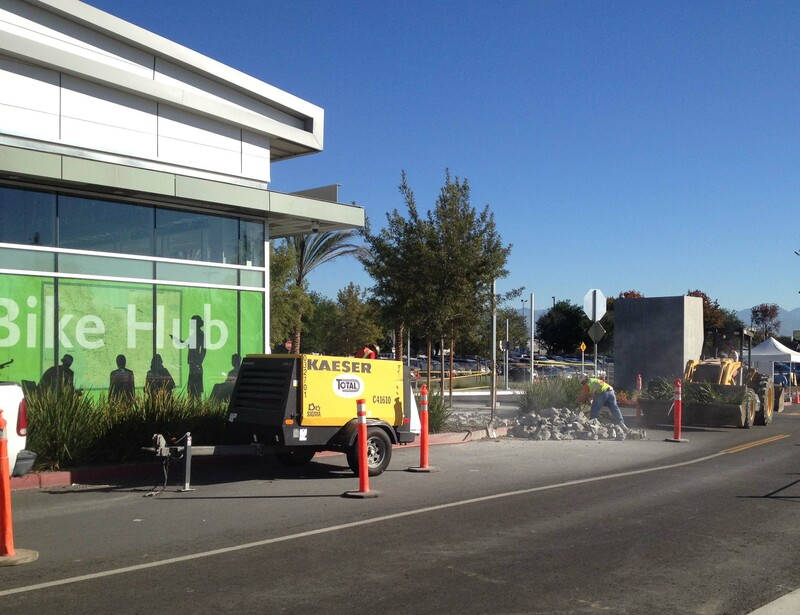 Also in the works is the El Monte Metro Bike Hub, which is anticipated to be open in spring 2014. 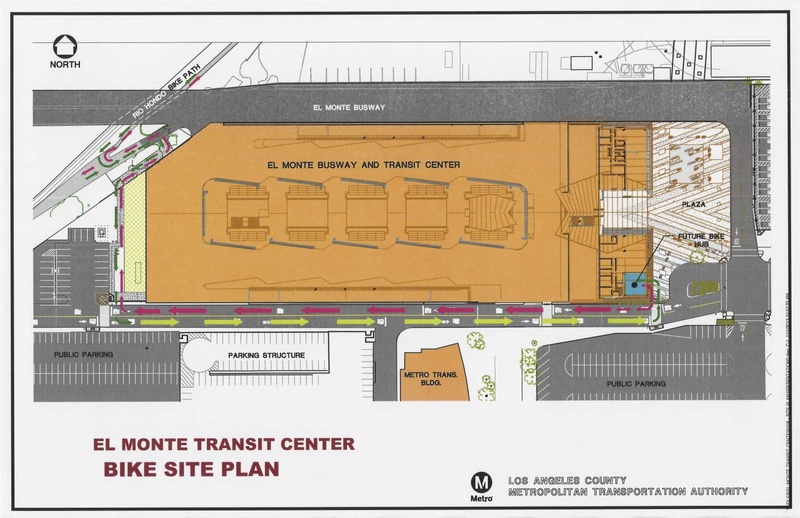 A Metro Bike Hub is a secure access, high-capacity bike parking facility — the El Monte Station will have the first one built by Metro. Once these bike friendly features are complete at the El Monte Transit Center it will be a significant asset to the region as there are numerous bike planning efforts underway involving the cities of El Monte, South El Monte, Baldwin Park, San Gabriel, Temple City, Rosemead, Alhambra, Monterey Park, Covina and areas overseen by Los Angeles County. For more information on current bike planning activities please visit the San Gabriel Valley Bicycle Master Plan website. Recent work taking place at the El Monte Station. Photo by Metro. What ever happened with the ticket vending machines? I believe the ticket machines were installed earlier this year. Why is the bike station not open yet? It’s been 13 months since the facility opened. And how could the connection to the Rio Hondo bike path have slipped the attention of the designers when this was being planned?